Team Cleaning or Zone Cleaning - which is better for your facility? Team Cleaning or Zone Cleaning - which is better for your facility? All Building Cleaning Corp. has provided janitorial services for us for several years now. They have proven to be very dependable and cost-effective in providing services to us. They are also responsive to our calls and are always available when we have a request. I just wanted to thank you and your crew for the great job you did cleaning up after our remodel. I know you went out of your way to get the job done on time so we were ready to open for business on Monday! 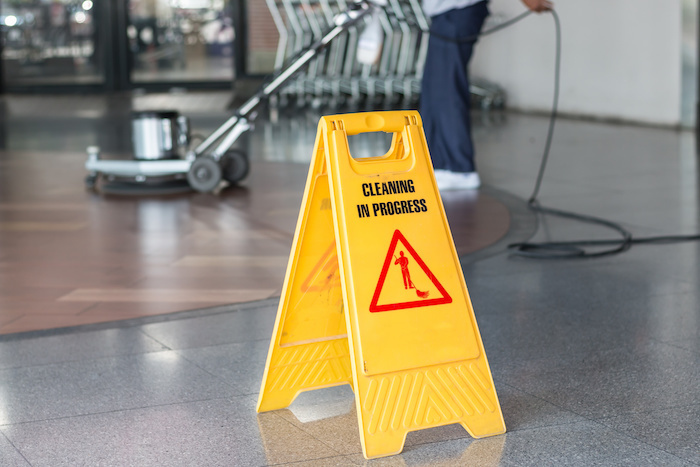 Team Cleaning or Zone Cleaning: Which is Better For Your Facility? When hiring a cleaning company for your commercial building, there are a lot of factors to consider. Does the company provide their own equipment? What hours do they offer to clean your facility? Do they have a good reputation? Do they contract out their cleaning teams? But there’s one question you might not know that you should ask: Do they use team cleaning or zone cleaning? This one question will likely lead you to another: What’s the difference between team cleaning and zone cleaning? Here’s a quick breakdown so you’ll better understand the difference and know which is best for your facility. The team of cleaning professionals that is sent to your commercial facility will be trained for specific tasks; when they arrive, they’ll set about doing their particular job. This means that one person will dust and empty trash while another person vacuums all the floors. Yet another person will clean all the restrooms as a different team member cleans the entryways and mops floors. There’s a team member for every single task. The cleaning professionals are always in charge of this one specific task from facility to facility, creating an expert level attention to detail. They will expertly wield their cleaning tools to not only clean correctly but clean in an efficient amount of time. Zone cleaning also employs a team of cleaning professionals, but instead of breaking up the task of cleaning your facility by specific job, this team breaks up the cleaning by area or zone. This might mean one person cleans the first floor of your facility and another cleans the second. Or in the case of larger buildings that are more spread out, that each floor is broken up into sections. Each person is responsible for the top to bottom cleaning of that area. Overall, team cleaning benefits far outweigh the drawbacks. Team cleaning means that the cleaning professional will fully understand all aspects of their job. Additionally, less cleaning equipment and fewer products are needed for team cleaning, which is a huge saving for the cleaning company, which they can pass on to you. For example, in a 3-story building, instead of 3 complete sets of equipment for each cleaner, you may only need one or two sets of equipment. A drawback of team cleaning is that each job is very routine and workers can get bored. If a worker is assigned to cleaning the restrooms and dislikes that particular job, they may quit and take another job, which could result in increased turnover. This is why we cross-train our employees after they master their current assignment. Then if we need to make adjustments for days off or sick employees, others can easily fill the void. There is a heightened sense of accountability with zone cleaning. If a part of your building isn’t clean to your standards, when you report this to the supervisor of the cleaning team, they’ll immediately know what cleaning professional team member was responsible. Then, they can speak with them about their job performance, discussing additional training needs or issuing a warning. The reverse is true as well; if you have an area in which an employee went above and beyond, that cleaning professional can be given accolades. This will increase job satisfaction among the cleaning company’s employees and provide motivation to improve the performances across the board. However, this can also lead to different levels of cleanliness in each zone of your office. Cleaning one zone may take longer than another zone, leading to conflict between cleaning professionals who don’t want to wait for others to complete their work. There could also be occurrences of employees not being willing to help another finish their work because it is not within their zone. Zone cleaning is also rather expensive, given the amount of cleaning equipment and product required to outfit each cleaning professional on your team. Many factors will go into the decision made about which cleaning method is best for your building. The size of your building and the specific things you need your cleaning company to clean will play a role in the decision-making process. However, budget concerns tend to trump everything else. A professional commercial cleaning company will meet with you to discuss these issues prior to cleaning your facilities. Asking the right questions at this point is key to choosing the company that’s right for you. Ask any potential cleaning company the method they prefer as well as whether they would use team cleaning or zone cleaning in your commercial building. Call our customer service team today to talk about how we can serve your commercial cleaning needs. Is This What Your Retail Store Cleaning Checklist Looks Like?